I must confess, I get excited every time a ‘budget build’ from a professional outfit lands in my inbox. The true masters are those that can do the most with the least—finding innovative ways to build bikes that are humble in price without sacrificing an iota of aesthetic prowess. 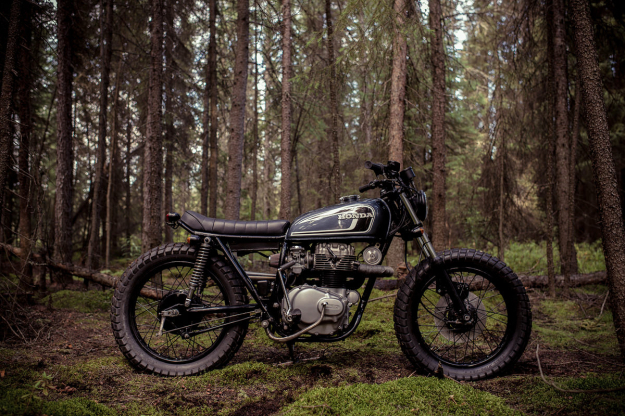 This sharp little Honda CB360 from Federal Moto is a prime example. 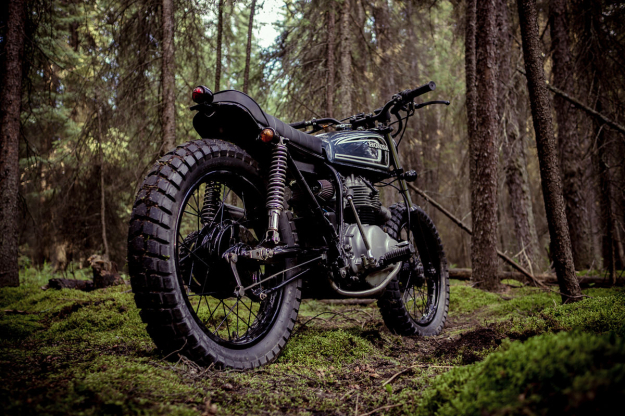 Despite only being the Canadian workshop’s second build, it’s loaded with attitude and ticks all sorts of boxes. 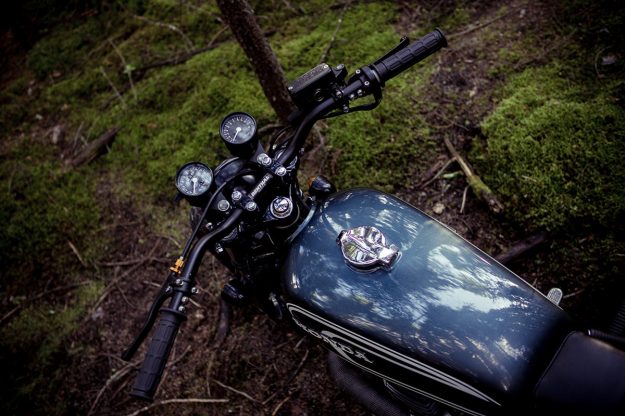 The main aim of the build was to trim as much fat as possible, and to produce a simple and reliable motorcycle. Federal de-tabbed the frame, ditched the passenger pegs and shortened the rear end— reusing the original frame hoop to save on costs. They then powder coated the frame and stock Honda wheels gloss black. A full engine rebuild was necessary, which included new piston rings and honed cylinders. Federal simultaneously deleted the air box, replacing it with K&N filters, and installed an 8-cell AntiGravity battery in a custom-made electrical box underneath the seat. To clean up the front end a 5 3/4” headlight was mounted, along with a mini speedo and tachometer, and a set of Renthal Ultra-Low bars. All the wiring was rerouted to inside the bars, hooked up to a neat set of push-button controls. The taillight and turn signals have also been swapped out for more discreet items. 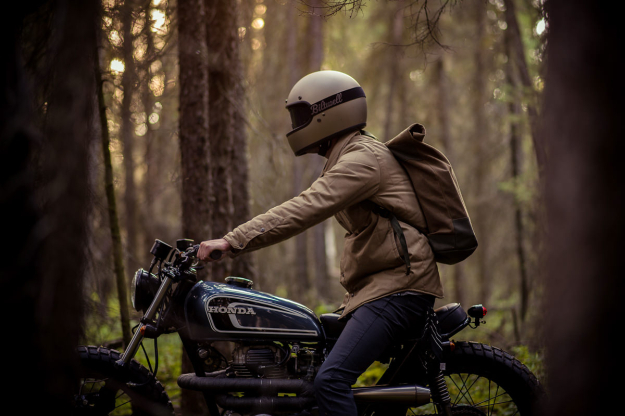 “We really wanted it to have the soul of the original Honda CB360 with some Federal attitude,” says Shaun, “so we went with Bridgestone TW42 dual sport tires and a custom two-into-one wrapped scrambler exhaust”. Since the bike will be used for short blasts on clean city streets, Federal honored the client’s request to remove the fenders—adding to the minimalistic feel they were after. Finishing everything off nicely is the tank: it’s been repainted in a color that Federal call “getting barreled blue”, with original Honda CB360 decals. 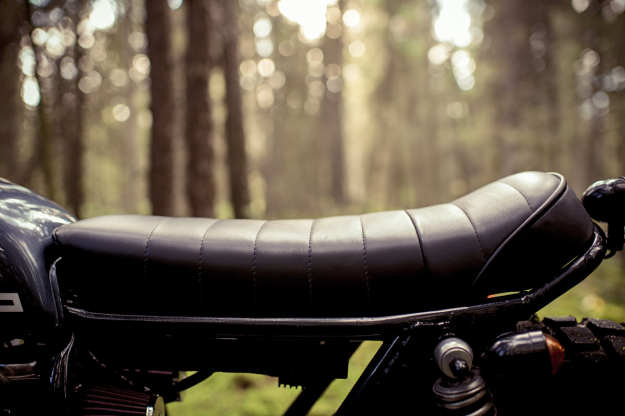 Complementing it is a bespoke “burnout black” leather seat. 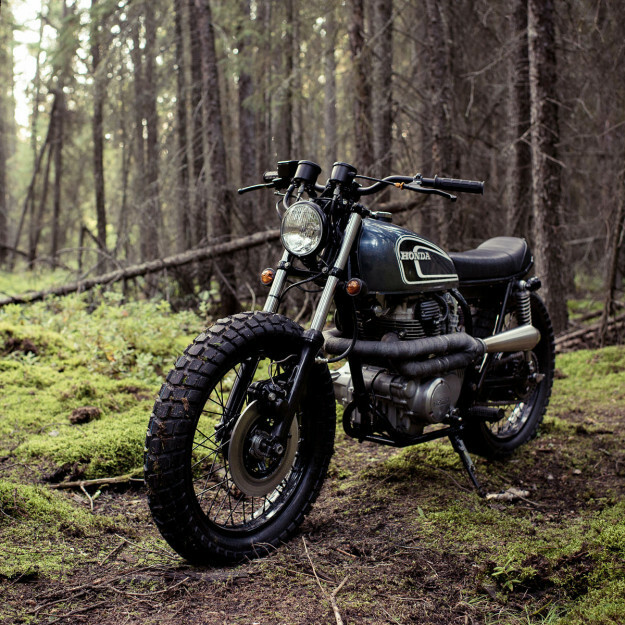 It’s another hit for Federal Moto and—despite being destined for urban life—looks right at home in the woods. Follow Federal Moto’s progress via their website and Facebook page.